How to realize huge quantities of program on a site captured between land and sea, potentially urban, and full of untamed nature? 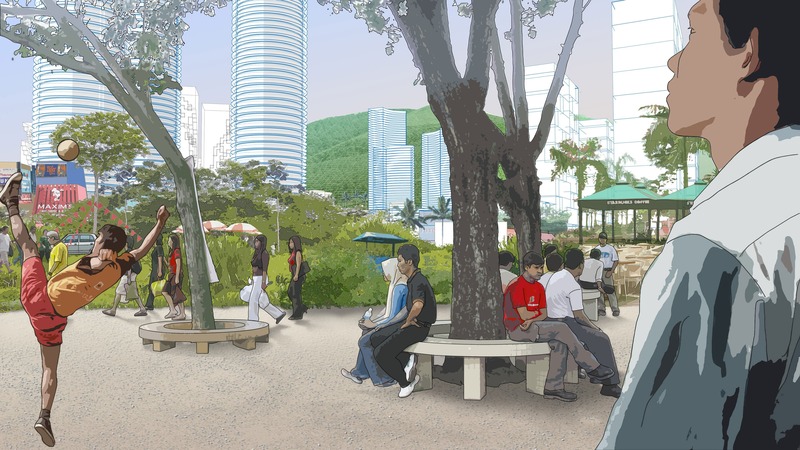 The project proposes to recognize and exploit the qualities of the tropical city and envisions the implementation of concentrated built substance within a connective tissue filled with lush landscape and social activities. It reformulates existing conditions instead of overwriting them: not an imported vision of foreign planning, but a symbiotic living texture that strengthens its own potentials. 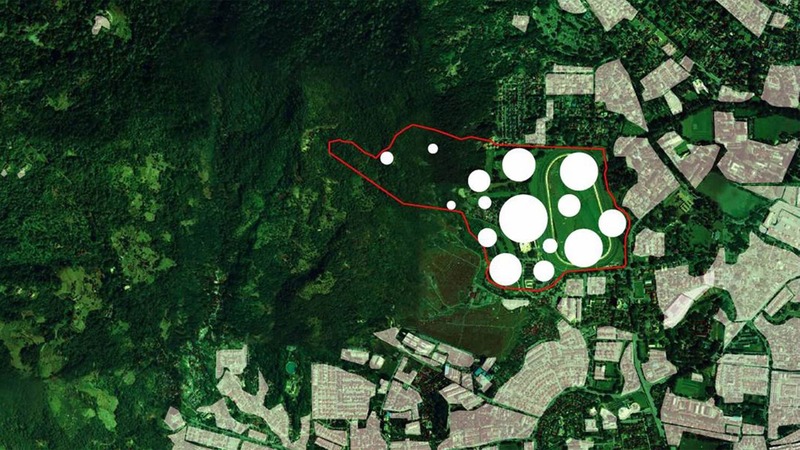 How to realize huge quantities of program on a site captured between land and sea, potentially urban, and full of untamed nature? 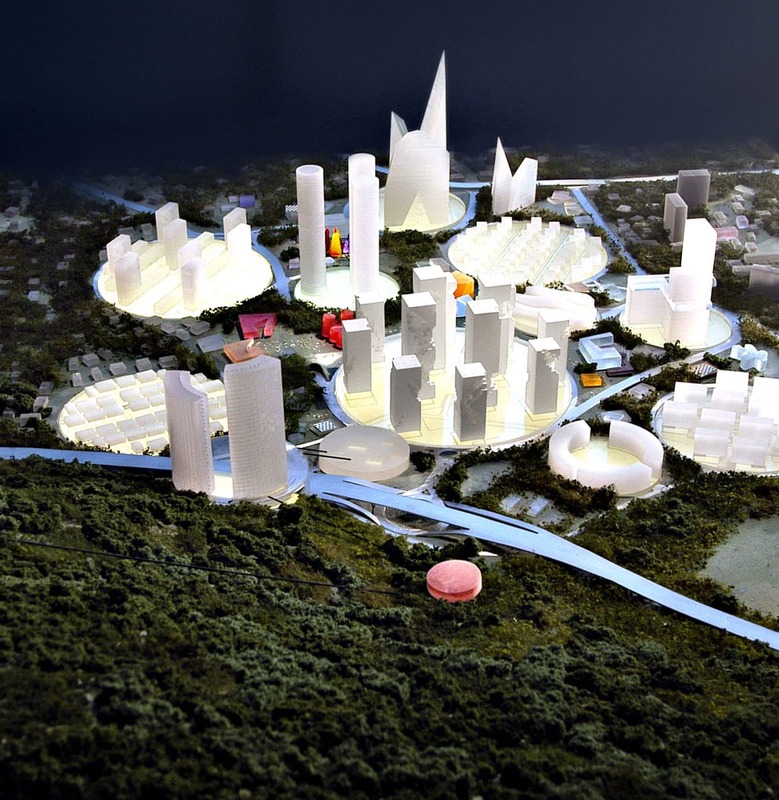 How does one generate a justifiable scheme for its inhabitants and the environment, in what is essentially a brand new tropical (Asian) city? 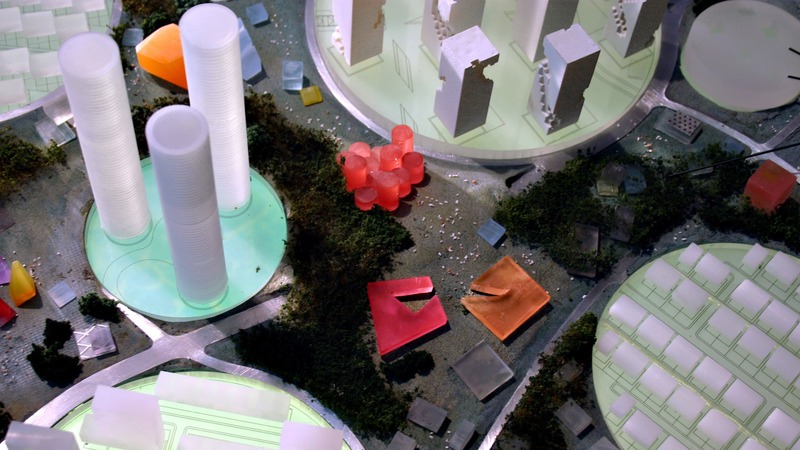 Floating within a connective tissue of activities and landscape, the building cores accommodate mono-functions and specific identities – housing, working, hotels – that are not self-sufficient, but rely on their connections to surrounding functions – pluralistic urbanism. 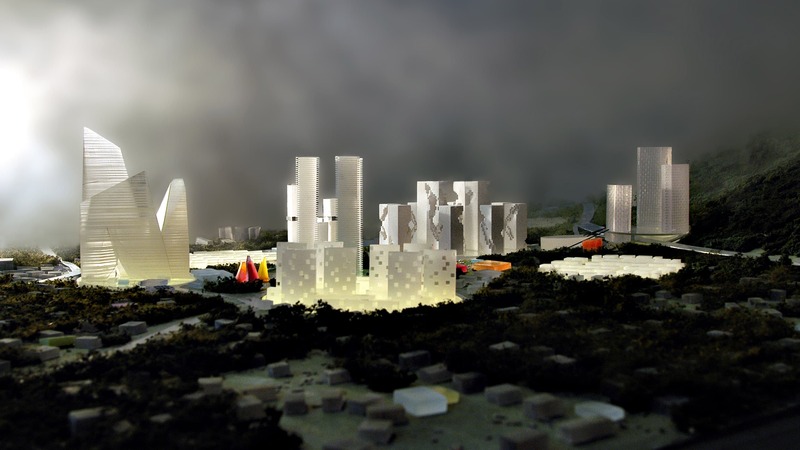 The energy of the connective landscape allows for the dynamic mutation of the city over time without impeding on the more regulated environments of the building cores. It provides a rich social fabric, a natural coexistence, and is an amalgam of landscape and public, a post-urban condition. 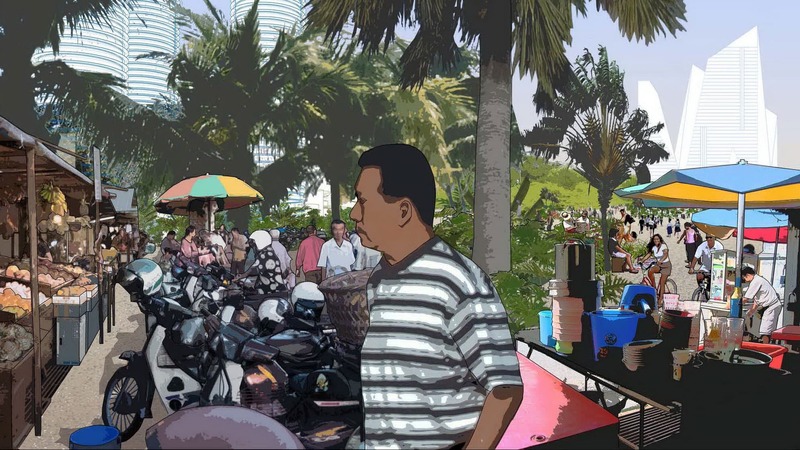 The vast site of the former turf club is full of contrasts, energy, and activities: concrete and green; intense heat and sudden downpours; small and large-scale exist side by side in unpredictable rhythms; towers, tents, parking garages, food stalls, vegetal, and human. The ability to occupy space far exceeds any western definition: every interstitial moment is exploited and occupied…a momentary glimpse of abandoned terrain is overtaken by a coalition of ad-hoc shelters, motorcycles, and ever-present vegetation. Activities appear and disappear in a perpetual process of reclamation. Major public and cultural functions are placed in strategic locations, to provide focal points and catalyze activities. These magnets attract other particles of a communal nature: food stalls, markets, events… destinations to provide contents for the public. 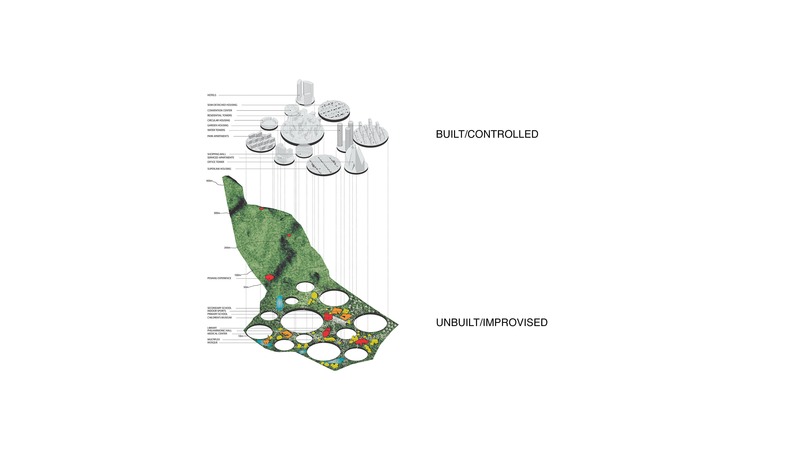 Permeable boundaries allow migration and encourage convergence and sharing. The duality (plurality) of the project recognizes its actual content and context as a major quality. 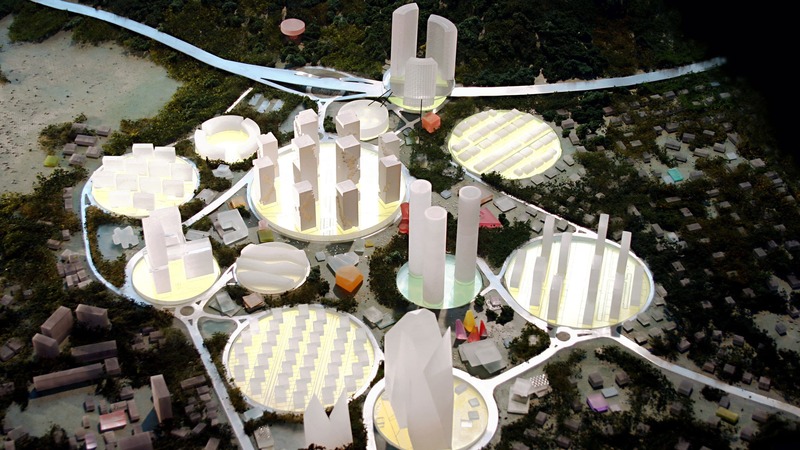 It proposes to grow the tropical city with a reconfiguration of its contents and allow its innate tendencies towards occupation, mixing, and vibrant growth, social and natural, to claim its territory in a new breed of metropolitan life.